She is a woman on the run. Pain, loneliness and terror are what she is leaving. Where she is headed doesn’t matter as long as it’s away from the hell her life has become. Joshua Bennett is trapped in a prison of his own making by the memories of his past. Traumatized and isolated, he is a reclusive writer, living a quiet, lonely life, his only companion his dog, Bear. It is what he knows, what he has accepted to be his life. 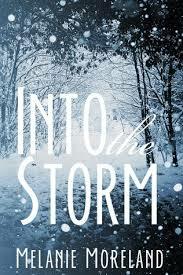 One dark night, one huge storm, and one ice patch brings them together. He finds himself with an unexpected houseguest with no memory. She wakes up a stranger to herself and the man watching her. Even more mysterious is the lack of any sort of identification with her or in her car. She is an enigma to both of them. Trapped by the storm and isolated from the outside world, they slowly open up, learning to trust and love, until the world once again shows up, threatening the fragile peace of their newly discovered world, and tearing them apart. There are many twists and turns as they struggle to find each other, overcoming both the mental and physical elements that keep them apart. Review: The premise of this book is good-a woman gets into a car accident fleeing her abusive husband, has amnesia from the crash and is taken in by a reclusive writer with agoraphobia. Rabbit (as Joshua annoyingly nicknames her) has no memory of her life, no identification and bruises all over her body. This book lost me when the main characters got into a hot tub together after barely knowing each other a minute, complete with Rabbit massaging Joshua's bag legs. Their relationship literally went from 0 to 60 in the blink of an eye, it was so unbelievable. The dialogue was extremely cheesy, there was no suspense and it was predictable. Overall-not my cup of tea.